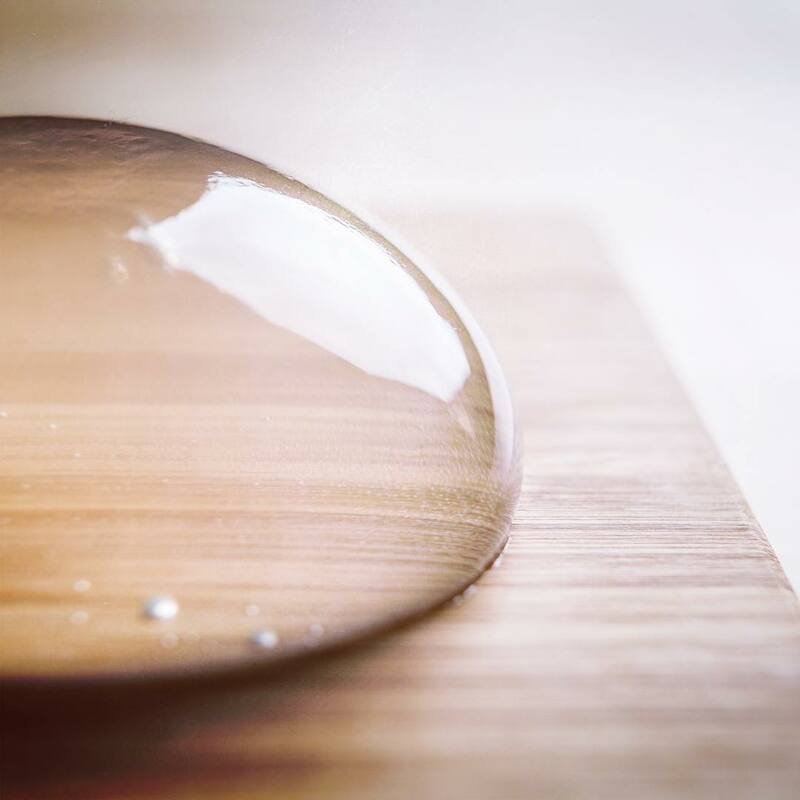 It all began a year ago, when Darren Wong first saw the Raindrop Cake — which is traditionally known as Mizu Shingen Mochi — being written about in Japan. 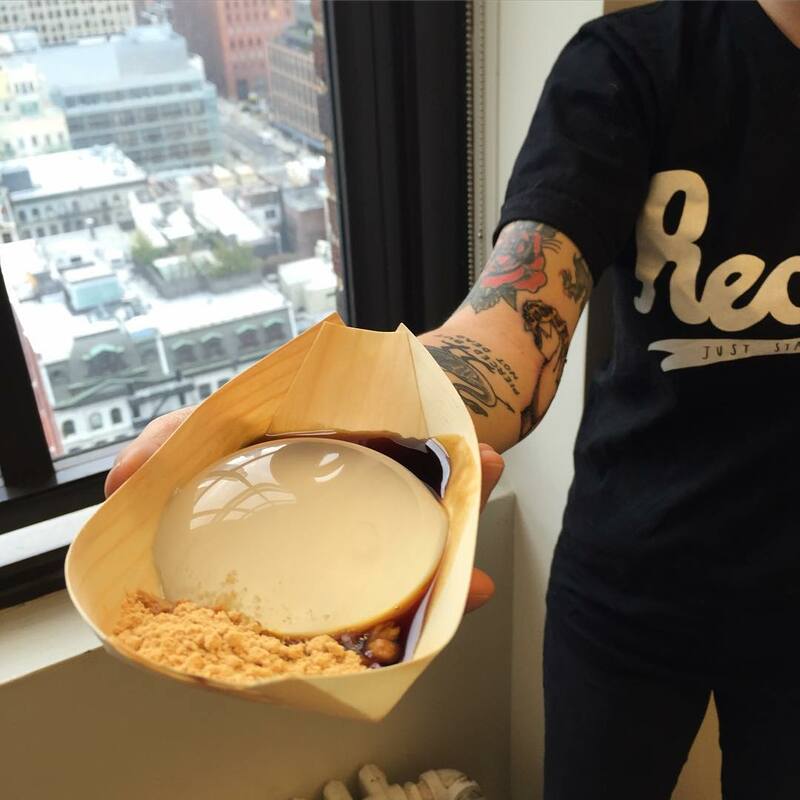 Though not a chef, Wong, an advertising executive, saw an opportunity when a year later, he noticed that the Japanese dessert was still unavailable in the U.S. That’s when he aimed to make the treat himself, so he’d be able to try it along with others whose curiosity was piqued. "This is a unique food experience. Firstly, it looks really cool. It kind of reminds me of that scene from A Bug’s Life where they drink water drops off of leaves," Wong tells HelloGiggles. "Second, the texture is so unique; it’s very delicate and fragile. Third, the combination of textures and flavors goes together so well. There are very few foods that engage this many senses at the same time, which is what attracted me to this dessert in the first place." Though the delicacy appears simple in form, its creation is complex. "It took a lot of trial and error, testing out different agars and gelatins to get the right consistency. The cake has to maintain its shape but still have the texture of water," explains Darren, adding that the Raindrop is made from agar and natural spring water. "This makes the cake a nightmare to store and transport. That was the second challenge I had to overcome. Each cake has to be individually packed in a way that protects it from movement and temperature." 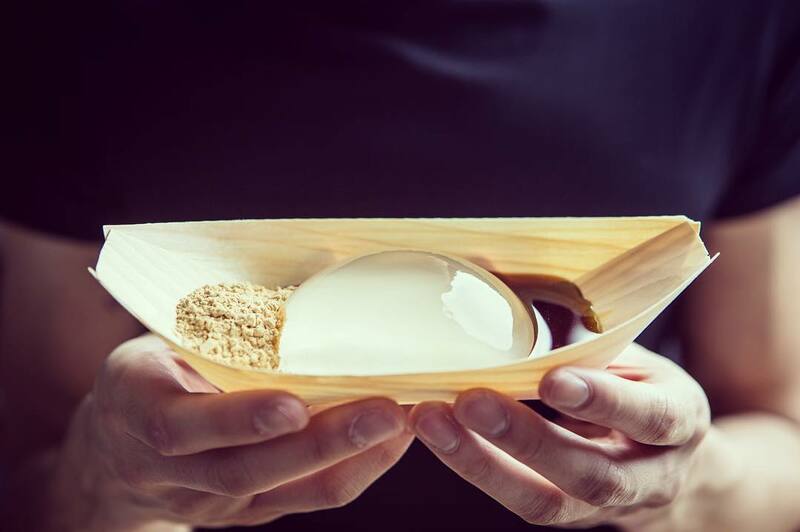 As for the dessert’s taste, Wong describes the Raindrop Cake as mild in taste, which can be amplified with toppings — such as brown sugar syrup and kinako soybean powder — to create a roasted, nutty flavor. It notably gives off a strong, sweet kick once it hits your taste buds. As for the cake’s texture, that’s when your culinary experience gets interesting. 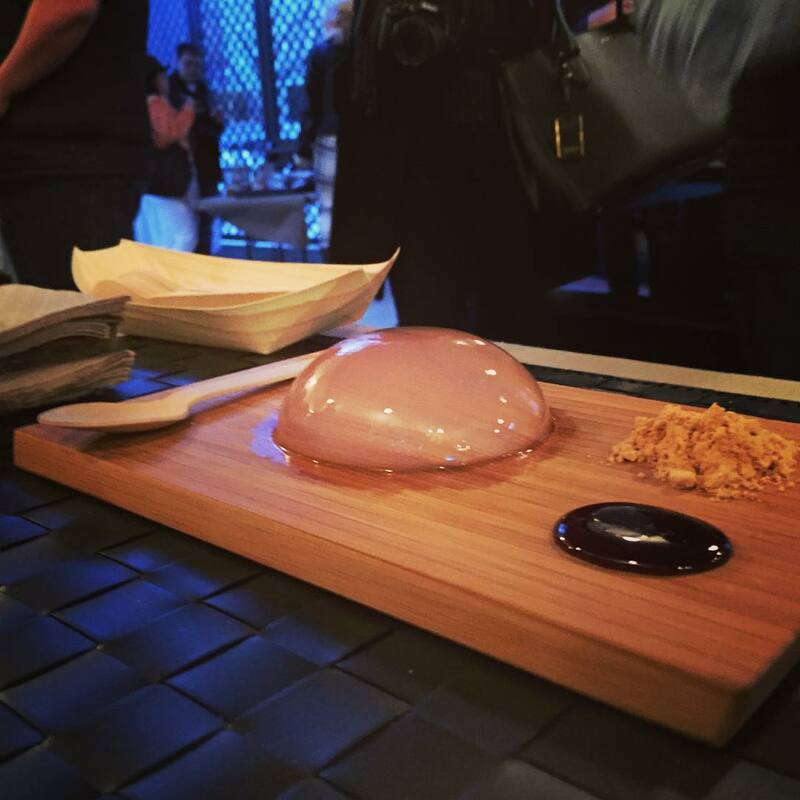 “It’s very much about the delicate texture that melts in your mouth,” Wong tells us. All images reprinted with permission from the creative. 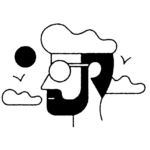 Connect with Darren on his website or Instagram.